These days I call myself a runner...: A well needed pep-talk! For some reason, today I'm being flooded by self-doubt. I'm planning all of these great things for 2012, but I wonder whether I'm expecting too much of myself. 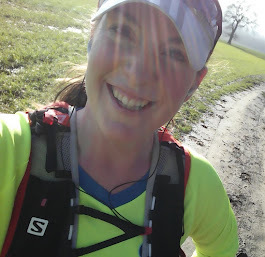 I was so positive and excited just yesterday but this morning I can't get the questions out of my head - can I really double my mileage compared to last year and can I really run an ultra? Am I committed enough, physically capable, mentally strong enough...am I good enough to really make this happen? I get so much support on twitter that at times I do believe I can reach my goals, and I see other people achieving phenomenal success in challenges that are much harder than anything I'm aiming for, so I know great things can be done...right now though, I'm just not sure whether they can be done by me! However, as every endurance runner knows, a large part of being successful is having the psychological strength to keep going when your body tells you it's had enough. I call myself a runner, so I need to start thinking like one - I can't fall at the first hurdle and fail through a lack of mental fortitude! So, self-doubt or not, I have to just get out and get on with it, and give my training and my ultra a damn good go and prove to myself that I am good enough to do this!